Added on 22 June 2018 . By Olivia Cheves. Cult Screens will be showing some great films in the gorgeous surrounds of the Botanical Gardens. 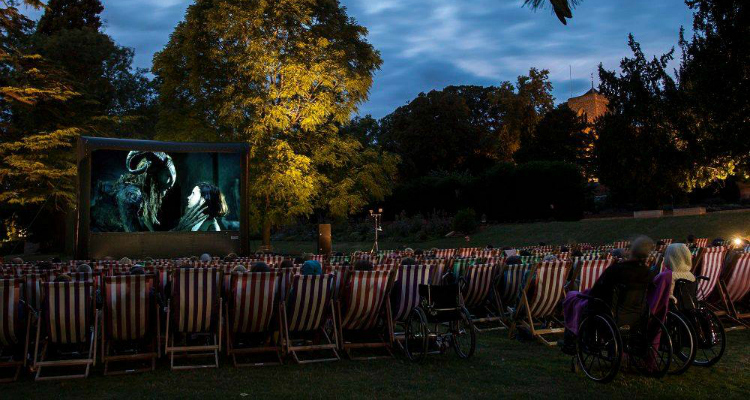 Making a beeline for the Botanical Gardens, Cult Screens have announced that they will bringing their open-air cinema experience to Birmingham for a series of film screenings over three days in July and September. Showing a range of old favourites and modern classics, you can catch everything from Pretty Woman to Darkest Hour from the comfy deckchairs and bean bags of the Cult Screens events. Kicking off on the 4th of July with The Lost Boys, the Cult Screens residency will also be bringing some refreshments to the gardens, including popcorn, tasty street food, craft beers, wines and cocktails to wolf down while you watch. There will also be teas, coffees and other soft drinks available. Cult Screens will run from the 4th to the 6th of July and the 13th to the 15th of September at the Birmingham Botanical Gardens, Westbourne Roadd, Birmingham B15 3TR.